Swell, gelato for dogs was created out of nostalgia for a time where food was prepared with simple yet wholesome ingredients to be shared with those you love. 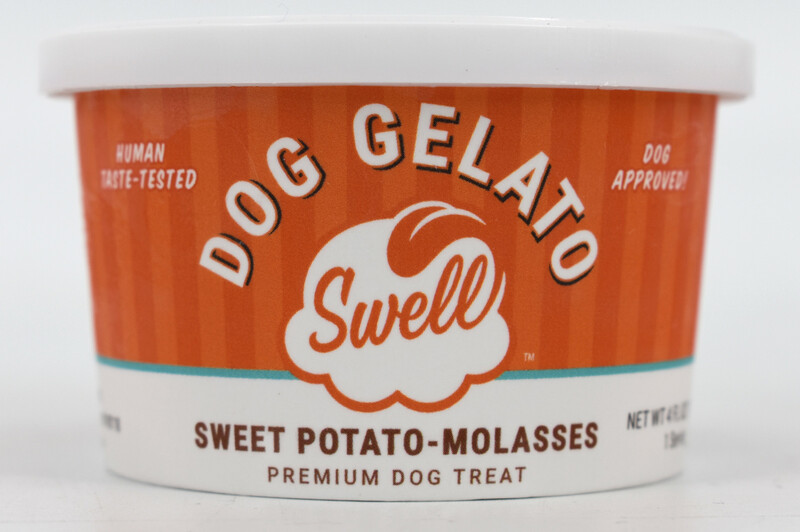 Swell gelatos are made the traditional artisan way: the base is cooked, chilled, and then churned into a creamy deliciousness your dog will truly appreciate. Have a sniff yourself....you'll know why your dog loves it! Coconut Milk, Sweet Potato, Molasses, Cinnamon, Ginger, Gum Acacia, Guar Gum, Locust Bean Gum.